WordPress real estate websites create several strategic advantages for brokers and agents because of their versatility, ease of use and speed. That’s why WordPress is one of the most effective website platforms in the world and the most user-friendly for busy real estate professionals. Let’s just give one example. One web strategy that brokers and agents can use to build up a business is often overlooked. That strategy involves “outbound links” or basically links that you place on your website and in your blogs that link out to other websites. But that mindset is not how the internet community thinks. 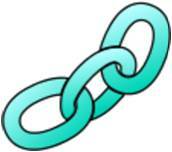 There are three important reasons to consider outbound links from your real estate website. Recognition as a Valuable Resource: one of the great facets of the internet is its interconnectivity. In fact, the web was originally designed by the military as a way to connect various bases and government departments. People can find your website on the web by searching on Google or clicking on directory listings, yellow pages, links from other sites, etc. You can find just about anything in the world by visiting search engines or Wikipedia and following the link trails to find the answers you want. Same goes for your website. People look to real estate professionals to basically know ALL the answers about a particular market or neighborhood. Those are BIG shoes to fill. To show consumers that you are truly a valuable resource, it’s smart to provide valuable links on your website to important destinations – local schools, hospitals, chambers of commerce, city departments, etc. Sure people might leave your website and go check out one of these locations. But chances are, they will shoot right back to your site once they see what’s offered. The sites you should link to are not competitors, but helpful aides for consumers to find the answers they need. Even if the web visitor does not return right away, you will have established in their minds that your real estate website is the go-to-place for local questions. Recognition by the Search Engines: as a segue from the resource factor listed above, adding outbound links has valuable implications for how you rank on search engines. Google and Bing have hundreds of factors they use in their algorithms to determine the relevance and value of a website when they make their rankings. One of those factors they consider is how valuable is the site as a resource for consumers. They calculate that value by how many outbound links the site provides to other relevant and useful websites. Now, who do you link to? Warning: not just anybody. Educational sites such as schools or colleges that have a .edu in their web address are considered valuable. So are government websites that have a .gov in their URL. You don’t need to worry too much about trying to figure out which sites would be considered valuable by Google and Bing. They already have that figured out. The best strategy a broker or agent can do is just figure out the sites to link to that they know would be valuable to consumers looking to buy a home in that area. Google and Bing will do the rest. The one thing you don’t want to do, is just put up a bunch of links for the sake of having links. Too many links to sites that Google and Bing don’t like can be harmful to a website’s rankings. Choose carefully and sparingly. 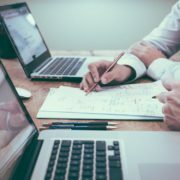 Referrals and Goodwill: you can also use links to help you connect with other people who might be helpful to you for referrals or to spread the word about your brand. For example, perhaps your town has a really cool museum. You decide to write a blog about that museum. You add an outbound link to the museum’s website. Any entity looking for publicity will love this and be truly appreciative. Perhaps one day, that museum director will refer you to a friend who just moved to town and needs a house. Perhaps one day that museum director will list their house with you. Or, perhaps that museum director will be so thrilled that they will blast a note out on their Twitter, Facebook, Instagram and Pinterest accounts about the article you wrote about the museum. That could be quite a few eyeballs seeing your brand name and visiting your website. All for free. WordPress makes it easy for the average person to add links. (Actually, it makes it easy to do a number of functions). A broker or agent might think, “Oh boy, here’s yet ANOTHER task I have to do.” As if you already didn’t have a list a mile long. Here’s the great thing about WordPress real estate websites. Adding outbound links is easy. (“Easy” is another word for user-friendly and that’s a phrase you will see constantly associated when WordPress real estate websites are mentioned.). Many of you probably already know how to link to another website. All you need to do is go to the website that you want to link to and copy their web or url address in the browser’s address bar on the top of your screen. For a shortcut, just hit the Control button and the letter “C” on your keyboard. Then open up a WordPress page. Type in some text in the content box. Run your cursor over a word where you want to insert the outbound link. Go to the menu at the top of the page. Look for the icon that shows what looks like a chain and click on it. (Similar to the one you use for hyperlinks on Microsoft Word pages). Bazinga, you are done. Hit the “Preview” button at the top of the page to check out how the text and link appear. When you are finished posting content, always click the outbound link to make sure it works. With WordPress real estate websites you don’t need to be a coder. You don’t need to call up your webmaster to get him or her to add a link. You don’t need to know how to program HTML code or Java script. You don’t need to take a half hour to add one link. With WordPress real estate websites, this function is fast. In fact, that’s the basic idea. All WordPress functions are built to be fast. And simple to do. Sure we get it, how does a busy broker or agent find the time to add outbound links, photos, blogs, videos, etc? Well, WordPress real estate websites, compared to other platforms, will give you the time and the tools to get it done, quickly.